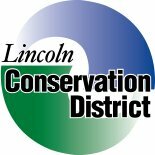 The Lincoln Conservation District was established in 1941 and is located in southeastern South Dakota with the state of Iowa on its eastern border and the city of Sioux Falls on its northern border. The expansion of Sioux Falls into Lincoln County has given the county the distinction of having the largest population growth of all counties in South Dakota. Newton Hills and Lake Alvin State Parks provide a variety of recreational opportunities. As part of the corn belt, Lincoln County is comprised mostly of cropland with corn and soybeans as the dominant crops. The Lincoln Conservation District exists to assist landowners and operators in protecting the urban, suburban, and rural resources in Lincoln County. We strive to improve the quality of life for county residents through the services we provide. We have been proactive in our conservation practices such as erosion control, energy conservation during winter and summer months, providing wildlife habitat, and visually improving the county’s landscapes. 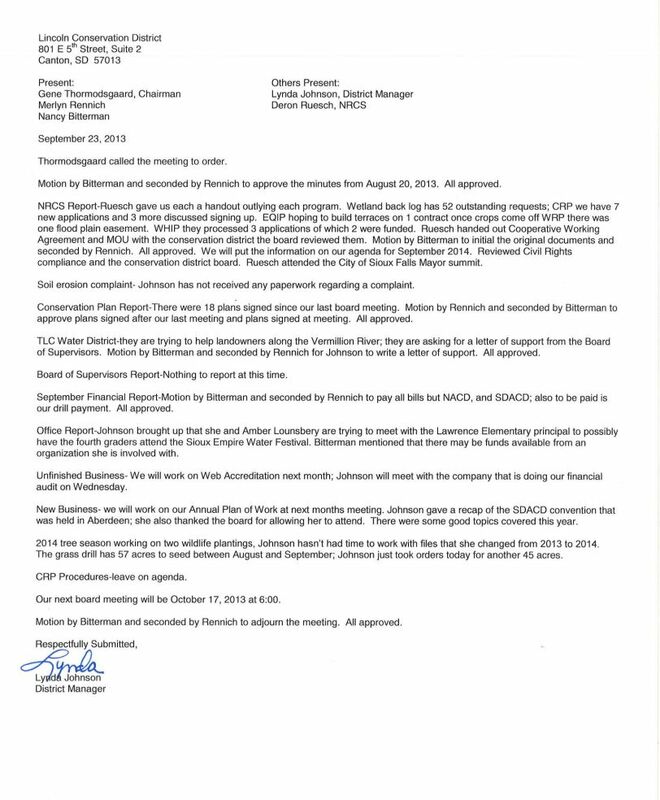 Creating additional building space for equipment storage and business operations, either by expanding our existing building or construction of a new building. Expanding our services to accommodate the needs of our residents who live in suburban settings or acreages. Providing tilling services for windbreaks and tree planting plots, which would also allow for mechanical weed control.